This product replaces the older Zebra MP6000. For the latest in grocery scanning technology, look no further. 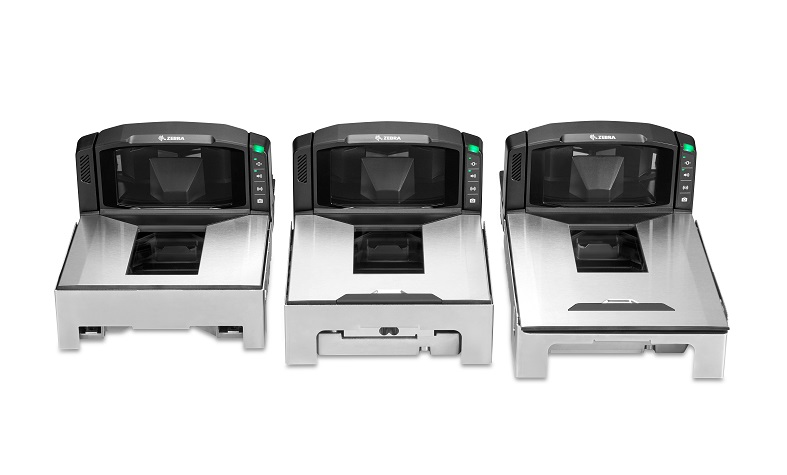 The new MP7000 from Zebra is speedy, durable, customizable, and an affordable solution to bring an increase in accuracy and speed to your checkout lines. 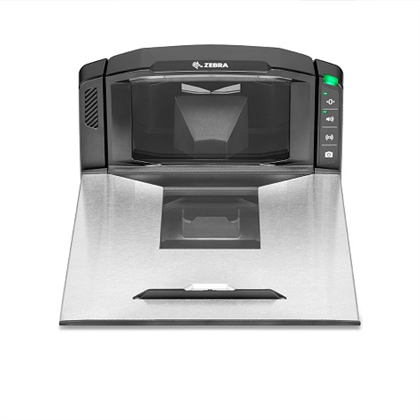 This scanner/scale is easy to service; with fewer parts and components, and an upper housing that can be removed without tools. 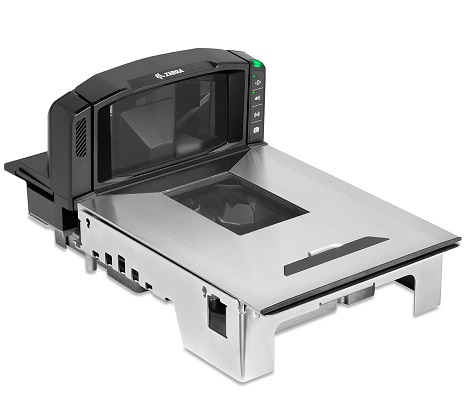 And since the MP7000 is designed to fit into your existing cash wrap, you can easily upgrade your POS lanes with the very latest technology. 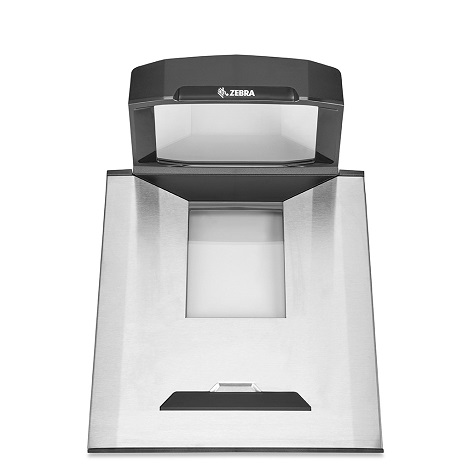 The hardy Sapphire glass keeps the scanner and scale protected while dealing with large or odd-shaped items. 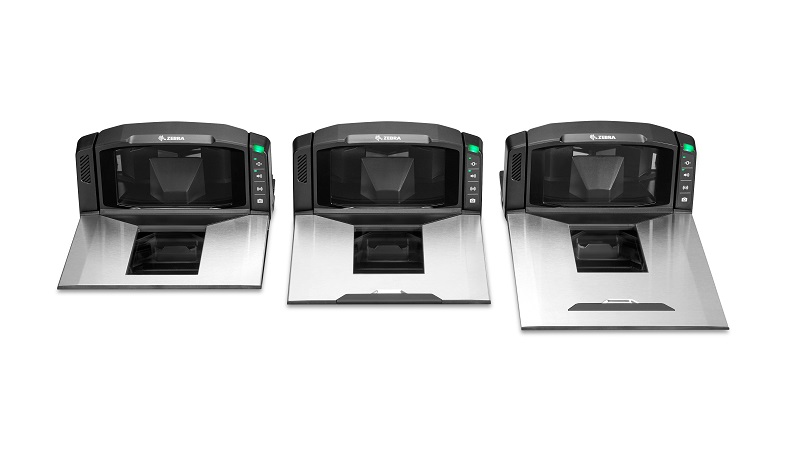 The largest scan zone in this product class delivers true "swipe-and-go" capability. And with the optional customer side scanner, your customers can scan electronic and physical coupons and loyalty cards — instead of your cashiers. Dimensions (LxWxDxH) Long Scanner/Scanner-Scale: 20" x 11.5" x 4" x 5"
Medium Scanner/Scanner-Scale: 15.7" x 11.5" x 4" x 5"
Short Scanner/Scanner-Scale: 13.9" x 11.5" x 4" x 5"
Find it faster! 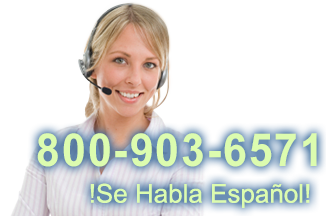 Click here to compare MP7000 models by feature. MP70, SCALE, LONG, SINGLE INTERVAL SCALE, SAPPHIRE, UNITED STATES. MP70, SCALE, LONG, SINGLE INTERVAL SCALE, SAPPHIRE, DLP, UNITED STATES. MP70, SCANNER SCALE,MEDIUM, SINGLE INTERVAL SCALE, SAPPHIRE, UNITED STATES. MP70, SCANNER SCALE,MEDIUM, SINGLE INTERVAL SCALE, SAPPHIRE, DLP, UNITED STATES. SCNR,MP7000,SCALE,LONG,SINGLE INTERVAL SCALE, SAPPHIRE,UNITED STATES. MP70, Scanner, LONG, SAPPHIRE,DLP, WORLDWIDE. MP70, Scanner, MEDIUM, SAPPHIRE,DLP, WORLDWIDE. MP70, Scanner, SHORT, SAPPHIRE,DLP, WORLDWIDE. MP70, SCALE,LONG,SINGLE INTERVAL SCALE, SAPPHIRE,CANADA/MEXICO.